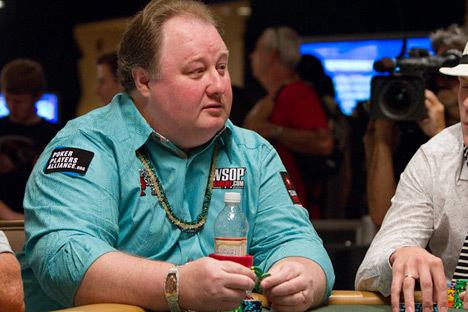 Greg "Fossilman" Raymer was the first person to win the World Series of Poker main event after Chris Moneymaker's 2003 victory sparked the "online poker boom". 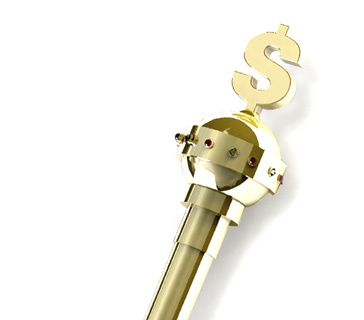 The impact of the "Moneymaker Effect" on the size of the 2004 World Series of Poker main event field was obvious. In 2003, Chris Moneymaker navigated through a field of 839 players to take down the crown. In 2004, Greg Raymer was forced to slog through a field that was over triple the size to take down the main event title. The good news for Raymer was that the increased field size also increased the size of his first-place prize. After eliminating David Williams during heads-up play, "Fossilman" walked away with $5 million, double the size of Moneymaker's haul the year before. Just like Chris Moneymaker, Greg Raymer was an "amateur" player when he took down the WSOP main event title. Having said that, Raymer was a much more seasoned poker player, as he had spent a great deal of his time working on his game inside of the Foxwoods Resort Casino poker room. Raymer wasn't a professional poker player though, as he had a job working as a patent attorney for Pfizer. As you can probably tell from his interviews, Greg Raymer is a very smart individual. His educational background is extremely impressive, as he majored in chemistry at the University of Missouri-Rolla, then graduated from the University of Minnesota with a Master's Degree in Biochemistry. Raymer's thirst for education carried him to the University of Minnesota Law School, where he graduated with a law degree. "Fossilman" then practiced law for more than 10 years before striking it rich in the 2004 World Series of Poker main event. The nickname "Fossilman" came from Raymer's love of collecting fossils. Raymer uses a small fossil as his card holder, and reportedly also made a bit of extra money during the early days of his poker career selling fossils to other players at the table. Hence, the nickname "Fossilman" was born. 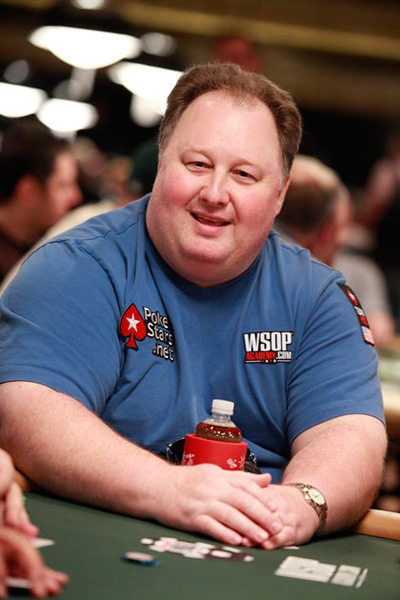 Greg Raymer is a well-respected and well-liked person and poker player, so when he gave others the opportunity to buy pieces of him in the 2004 World Series of Poker main event, many people jumped at the opportunity. A few declined and would end up regretting the decision for the rest of their lives. All told, Greg Raymer reportedly walked away with $1.7 million of the $5 million first-place prize after paying taxes and giving his backers their share of the profits. Just like Chris Moneymaker had done the year before, Greg Raymer parlayed his victory into a lucrative sponsorship deal with Pokerstars, where he remains today. Raymer doesn't spend too much time on the "live" tournament circuit, but he is always sure to show up for the Pokerstars Caribbean Adventure and World Series of Poker. In an unbelievable turn of events, Greg Raymer actually put himself in a good position to win the World Series of Poker main event two years in a row. After winning in 2004, Greg Raymer made yet another deep run in 2005. He ended up cashing in 25th place for $304,680, earning the respect of his poker peers. When Raymer was eliminated in 2005, he was given a standing ovation by many of the players and onlookers in attendance. In 2009, Raymer nearly captured his second World Series of Poker bracelet, finishing in 3rd place in the $40k 40th Anniversary NLHE event for $774,927. That tournament was eventually won by Vitaly Lunkin. -"Fossilman" had his Pokerstars' account hacked in March of 2007. People quickly noticed that Raymer was playing in a number of heads-up SNGs and very clearly losing intentionally. Raymer and Pokerstars were both quickly notified by concerned onlookers and his account was frozen.